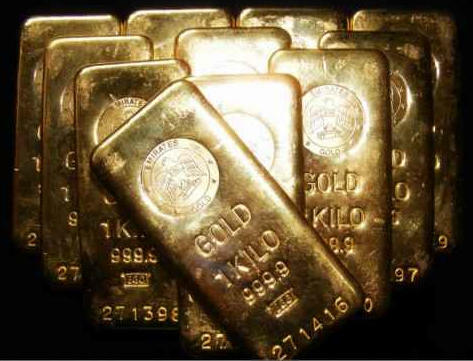 … who are interested in owning gold – with an emphasis on buying / selling gold & silver in the appropriate locations. Observing his highly accurate precious metals predictions and warnings against holding paper certificates, many clients have become aware that now is an opportune time to buy; they consult with St.Clair on location issues, from Singapore to Hong Kong. St.Clair does NOT buy nor store precious metals for clients. He advises them how to do it by themselves, since he teaches that we all must learn how to be our own central bankers. St.Clair has good relations with those few professionals who have the adequate secure logistics to store precious metals. St.Clair provides specific and confidential gold advisory services. NewMind Technologies is an advanced global consulting practice to help clients enact meaningful solutions to fast approaching social change. Gold is the easiest of all metals to work, as it occurs in a virtually pure and readily workable state. Gold is alchemy. Gold is described as an element whose atomic number is [AU] 79. Gold does not corrode or rust. The metal is so malleable that it can be hammered into paper-fine sheets through which light can pass. It is widely used in many applications, from jewelry to electronics as it is a good conductor of electricity. how the gold price would behave until 2020. St.Clair is connected to the few leading gold experts. Gold is money, not a commodity. Paper is debt. Gold is the only form of money – all paper currency is debt. Gold is the only asset that is no-one else’s liability. it is the liability, the debt, of the bank. You are an unsecured lender to your bank. Stocks, bonds and digital gold such as ETF derivatives, are the liability of the issuer, not your assets. Price is not the same as value. a bag of rice in corn, a cow in wheat, or an ounce of gold in US dollars. The gold price is manipulated by the powers that (think they) be. The value of gold cannot be managed by any controller. the price of paper currency expressed in gold is going down. Gold is not in a bubble. Gold is its own power. Owning gold is to be dis-engaged from the banking system. Owning gold is to be self-responsible for your savings. Owning gold is to be your own banker. Gold is not an investment. It is insurance. Only a very few understand the above. In an age of disinformation. St.Clair wishes his clients to know and understand. Wishing you a Golden Future !